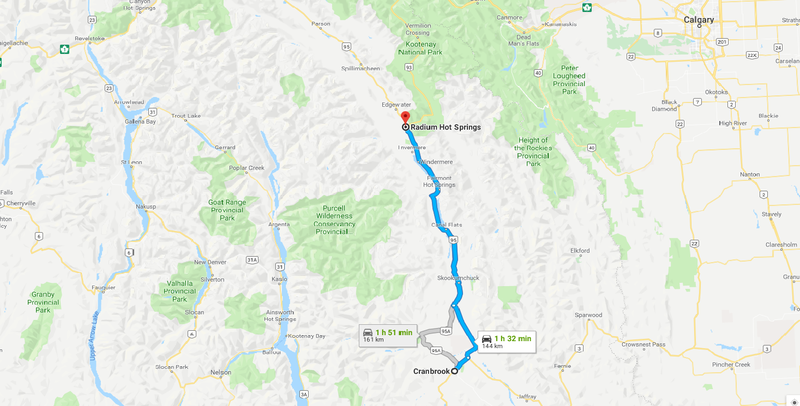 From Cranbrook, BC – Take highway 95 north for 115 Km. Upon entering Fairmont Hot Springs, cross the bridge and take the first right onto Fairmont Creek Road (opposite entrance to Riverside Golf Estates). Proceed uphill, following signs to the recreation centre. From Calgary, Alberta – Take Trans Canada highway #1 west (100 Km) to highway 93 (Junction Overpass). Proceed on highway 93 to Radium (100 Km). At Radium turn south at the four way stop (Highway 93/95) and proceed 48 Km to Fairmont. Continue through Fairmont to the south end of town. Before the bridge, turn east (left) onto Fairmont Creek Road (located opposite the Riverside Golf Estates entrance). Proceed up the hill, following signs to the recreation centre.